I’ve been lucky enough to take part in Project Shark in the Red Sea – now I’m green with envy that blue o two are taking their fin-spotting itinerary to Fiji. Project Shark: Fiji is the ultimate liveaboard expedition for anyone wanting to see, dive with and learn more about sharks. 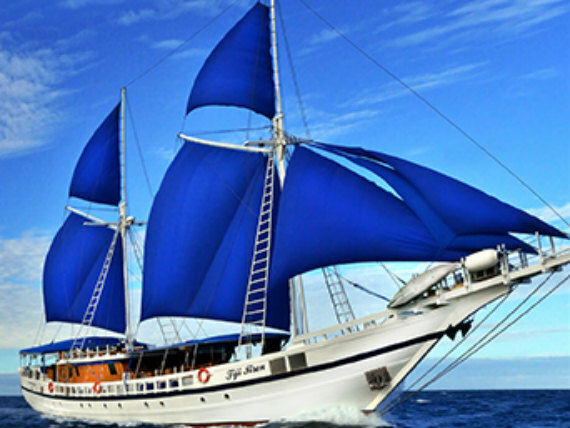 From 2019, you’ll be able to spend ten nights in the Bligh Waters on board S/Y Fiji Siren, under the supervision of experienced blue o two Project Shark trip host, Dr Elke Bojanowski. This itinerary involves close encounters with sharks, with the possibility of diving with manta rays. 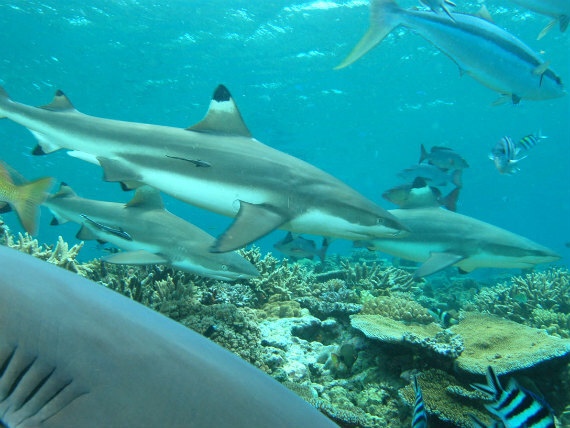 The aim of Project Shark is to highlight the global issues facing sharks, this time with a Fijian focus, as well as enjoying some of the most exciting dive sites that Fiji has to offer. Encounters with endangered species give divers a greater purpose to their liveaboard holiday. Project Shark is a perfect trip for anyone who has an active interest in the preservation of the marine environment. Dr Elke Bojanowski will conduct seminars giving divers the opportunity to gain a better understanding of the biology and behaviour of sharks. Founder of the ‘Red Sea Sharks Trust’, dive guide and marine biologist, Elke Bojanowski Ph.D, began the Longimanus Project in October 2004 and since this date she has been actively collecting underwater photographs and video-clips of oceanic whitetip sharks for catalogue, review and analysis. Ten nights on Project Shark: Fiji in June 2019 on S/Y Fiji Siren will cost £3760 per person. For more details contact blue o two on +44 (0) 1752 480 808, email divingholidays@blueotwo.com, or visit www.blueotwo.com.